Celebrate Your Mother. Or Else. So here we go again. It’s ‘Mothering Sunday’ this weekend. Is it just me, or does anyone find it all a bit patronising? Whether you’re a daughter or a mother – and especially if you’re both. I’m a daughter to my lovely Mum, who is cruelly debilitated by Parkinson’s disease. A box of chocolates, some Interflora flowers or a saccharine message in a Hallmark card isn’t going to convey to her how much I love her or how blown away I am by how incredibly brave she is. Being forced to focus on the task for one day makes me feel inadequate and self-conscious. It’s like there’s a big finger pointing down at me from the consumer sky. Celebrate Your Mother. Or. Else. My eight-year-old asked me why we needed Mother’s Day anyway. Good question. To sell more supermarket chocolates and machine embroidered teddies, I answered. Then I told her that the Mother’s Day had been invented by the Americans and embraced over here when I was about her age. ‘I thought Mother’s Day has been around since Elizabethan times?’ she said, clearly feeling a bit hood-winked (she harbours a deep distrust of Barbie, McDonalds and Disneyland). ‘There should be a Daughters Day,’ she said. ‘Where you get to bunk of school and go roller-skating.’ I assured her that there probably will be a Daughter’s Day by the time she’s my age. I could do with a Daughter’s Day myself. Anyway, ‘Mothering Sunday’ has always seemed a little bit of an oxymoron. On account of the fact that it’s a day when I fully intend to do as little ‘mothering’ as possible. 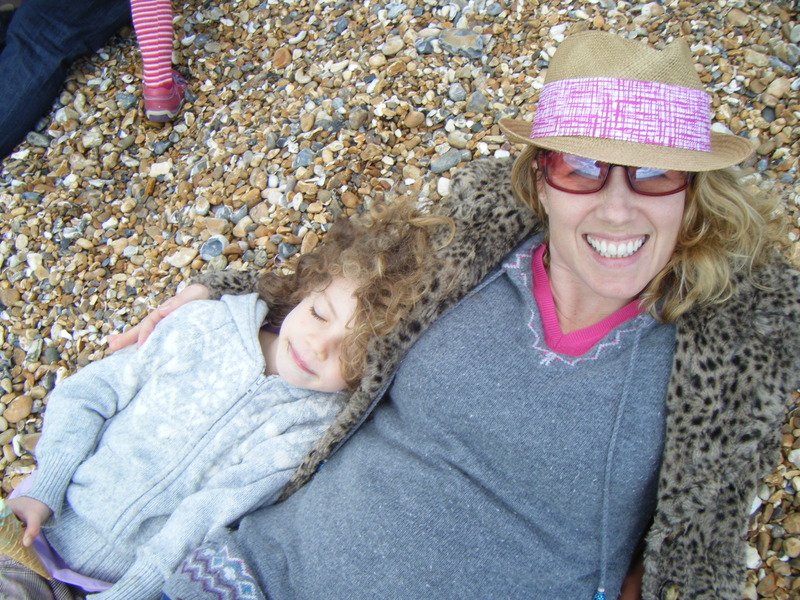 I am hoping that, as in previous years, my absence of mothering will highlight just what a fabulous mother I am the rest of the time. What I want is get a lie in and a cup of tea brought to me in bed. And some home-made cards from my girls. The more rubbish and badly spelt the better. This is all I want. And perhaps a big, fat Sunday lunch where I get to eat most of the roast potatoes. Oh, and for somebody else to remember to wash the school uniforms and hang them up to dry, preferably before Monday morning. What I don’t want is any of the stuff that my in-box is full of today. Someone, somewhere has sold my email address to ‘interested parties’ and I’m choc full of Mother’s Day offers. I got one just now luring me into a special mother’s day exfoliation and waxing package. Getting waxed? On mother’s day? Who decided that would be a treat?